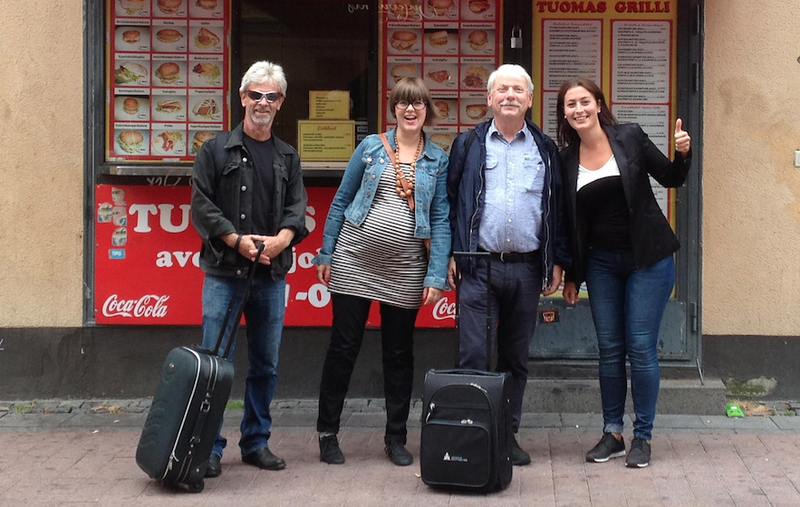 In August 2014 Including music visited Resonaari special music centre, Helsinki. Markku Kaikkonen and Kaarlo Uusitalo from Resonaari held workshops and discussions on music teaching for people in need of special support. Music teachers and music therapists from Finland, Sweden and Scotland met to brainstorm, network and plan future collaborations. Below Micke, Sofia, Bo and Ida from Including Music. This entry was posted in Uncategorized and tagged figure notes, including music, KC Lund, Kristianstad University, kulturcentrum Lund, Special Music Centre Resonaari, special music education, team munkhättan by iwestberg. Bookmark the permalink.